Street parking is a topic the HOA Directors have been hearing about from our residents. Vehicles parked on streets can impede the progress of emergency and delivery vehicles, trash and recycling collection, and affect the ability of drivers to see and react to potential hazards. And, of course, many residents are concerned about the negative impact on community aesthetics when vehicles are parked on neighborhood streets. A little over a year ago, the Board suspended enforcement of the overnight street parking restriction in the Master Declaration CCRs §3.15 based on information we received from our management company. At that time, the view was that since the streets within the Association boundary are the jurisdiction of the City of Austin, the Association's restriction on parking was unenforceable. In response to ongoing Member complaints about street parking, the Board decided to look into the issue further and seek a formal legal opinion from outside counsel specializing in homeowner association law. In March, members of the Board met with and subsequently engaged Gregory Cagle of Cagle Carpenter Hazlewood to research and author a legal opinion on the subject for us. Mr. Cagle is an accomplished attorney and litigator in the field of homeowner association law and has successfully litigated street parking restrictions on behalf of Texas homeowner associations in the recent past. Generally speaking, as a matter of civil law, each Owner, by purchasing property in Canyon Creek, is contractually obligated to abide by the restrictions and be subject to the powers of the Association under its governing documents. Indeed, Mr. Cagle's opinion states "...it is well established under Texas law that when restrictions are confined to a lawful purpose, are within reasonable bounds, and the language employed is clear and unambiguous, such covenants will be enforced as written." Moreover, while the roads within Canyon Creek are publicly maintained, Mr. Cagle's opinion continues, "...[to] the extent such roads may be public roads is of no consequence, and Section 3.15 is an enforceable restriction on the parking of vehicles by owners on such roads." 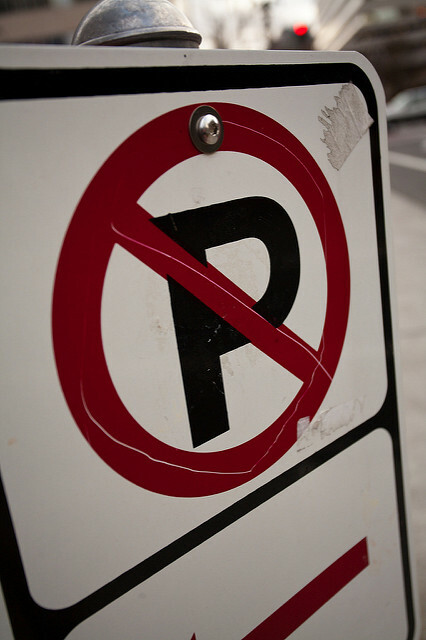 Effective immediately, the Association will begin using courtesy notices to remind owners and residents of the overnight street parking restriction with no fines assessed from now until June 30. Effective July 1, notices will be issued under the Association Fine Policy then in effect and violations may incur fines. Owners are reminded that they are responsible for the compliance of their guests, contractors, etc. with all the Canyon Creek Restrictions. At the present time, the Directors intend for violation complaints to be resident driven. Violations may be reported by e-mailing manager@canyoncreek.net. Update: In response to Member questions and new information from the Association attorney, the Board has published an update on this topic as a list of Frequently Asked Questions.